If you are throwing a graduation party, you must check out this list of ideas. We have it all! From lots of delicious food that your guests will love and decorations that are festive but easy. You will also find ideas for your graduate that are clever but practical. Everything you need for a great party is on this list. 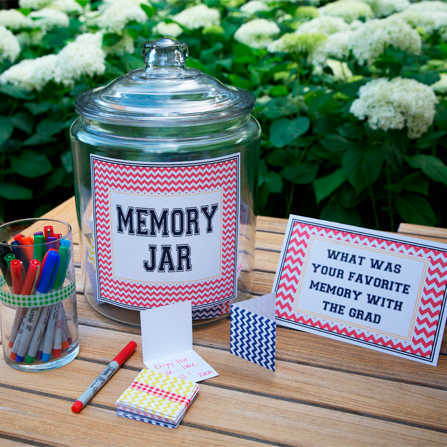 Let’s get started with these cool grad party ideas! These ideas are easy to do and won’t break the bank. No need to spend a ton of money or time throwing a graduation party. 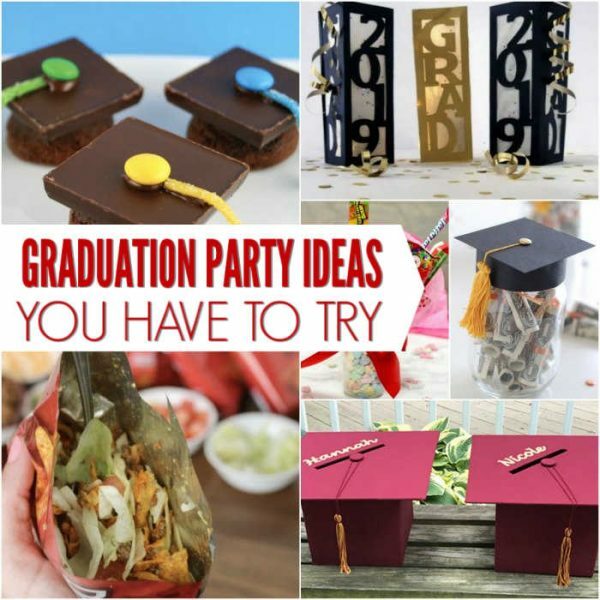 From high school graduation party ideas to college graduation party ideas, we have lots of ideas! 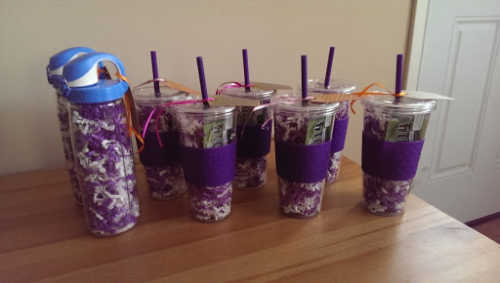 You will find ideas that anyone can do and the party will be a hit! There are so many ideas here. 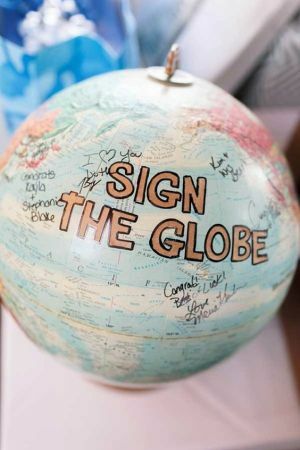 The globe to sign is such a cool idea and the baby pictures used as decorations are amazing. Let guests write down notes of wisdom or memories from over the years. This will be such a special keepsake to your graduate. 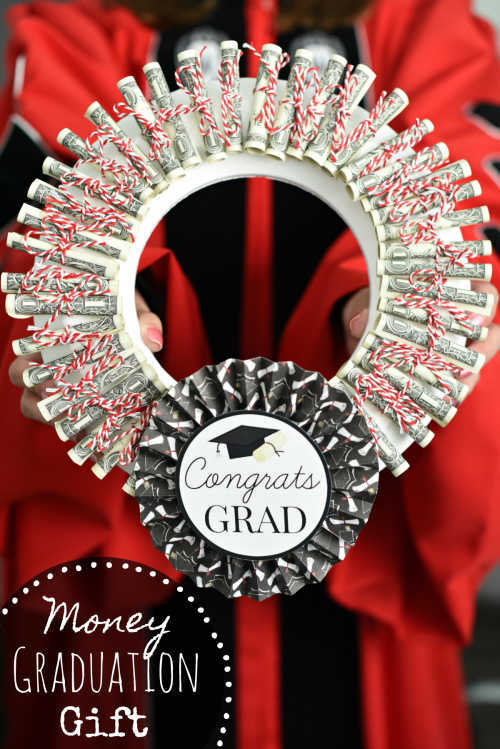 If you need a creative way to give money to a graduate, this wreath is the way to go. This is so fun and clever! This easy DIY will be the hit or the party. 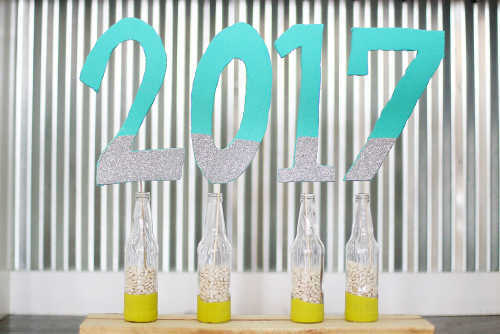 Use bottles to display foam numbers for the graduation year. If you have a silhouette or cricut crafting machine, you can easily make this DIY centerpiece. These lanterns look stunning as centerpieces and really set the tone of the party. Learn how to make this floral foam number sign perfect for parties. They are gorgeous displayed in jars. 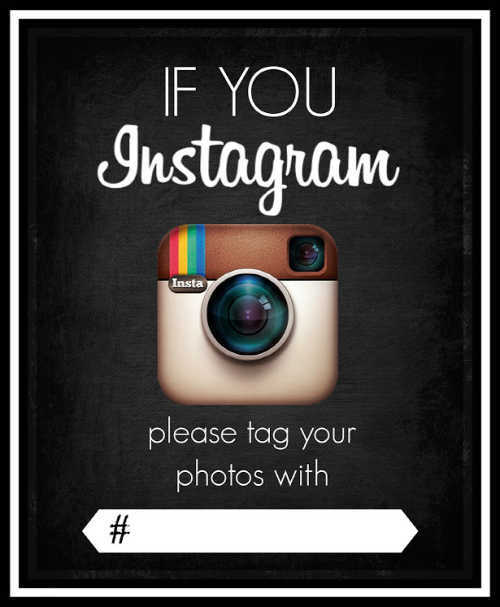 Help party guests easily share their photos on social media by giving them a hash tag for the party. So fun! 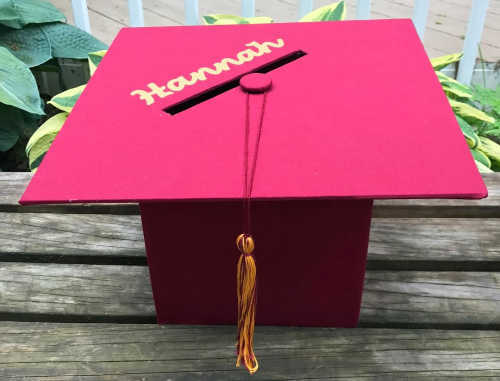 Make a card box in the shape of a graduation hat for the party! This is such a fun way for guests to drop off their cards. 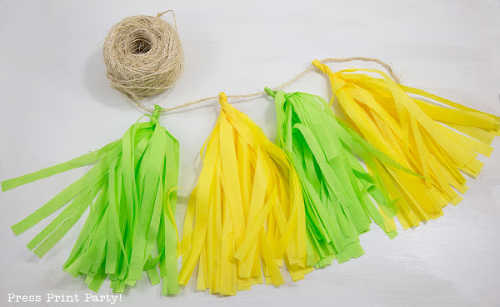 This festive tassel banner is perfect for graduation parties. It is made out of tissue paper and so easy to make. 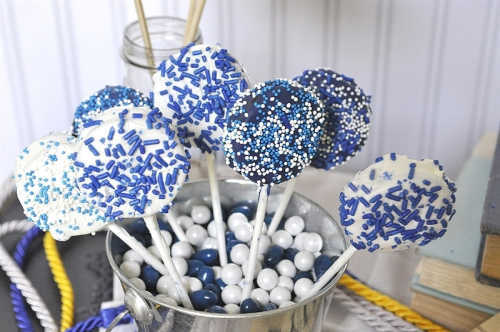 This is simple to make but looks super festive for graduation parties. 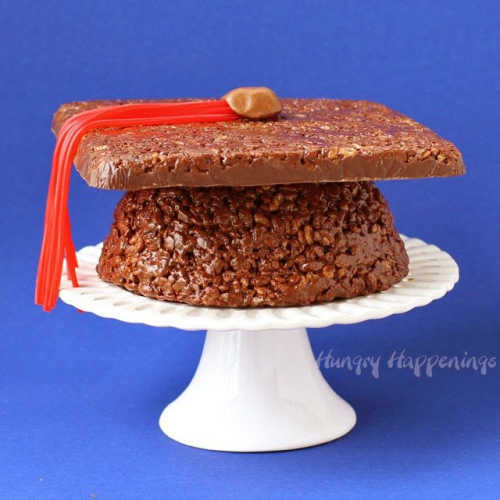 Your guests will be so impressed with this clever graduation hat treat. 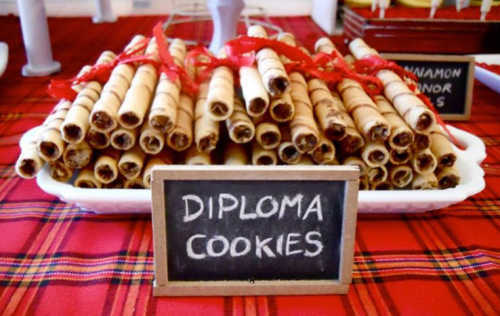 These diploma cookies could not be any easier! They will look so cute on your party table. Show your school pride with oreos decorated in school colors. Tasty and festive! 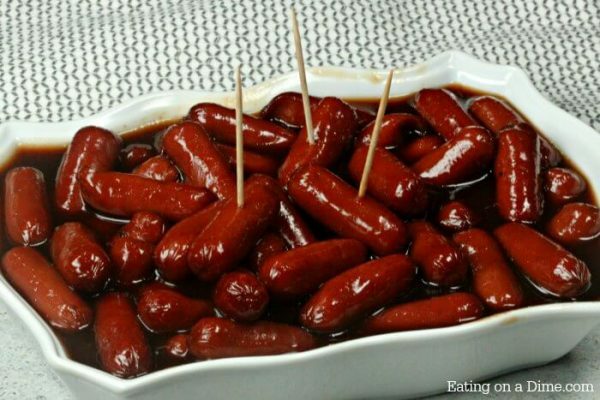 You just need 3 ingredients for this simple but amazing BBQ Little Smokies Crock Pot Recipe! It is a simple and delicious appetizer for any party. 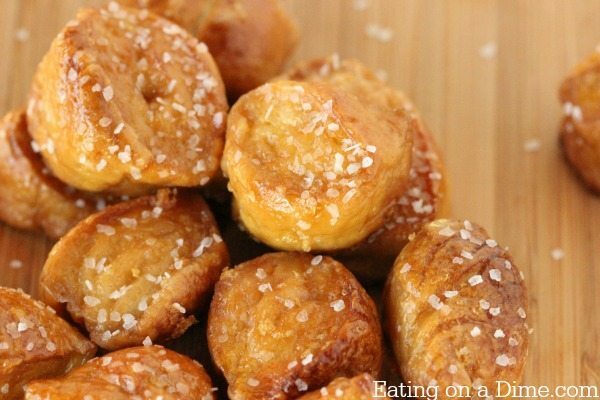 These bite size pretzels are so fun to serve at parties and everyone will go crazy over them. They are super easy to make and so tasty. 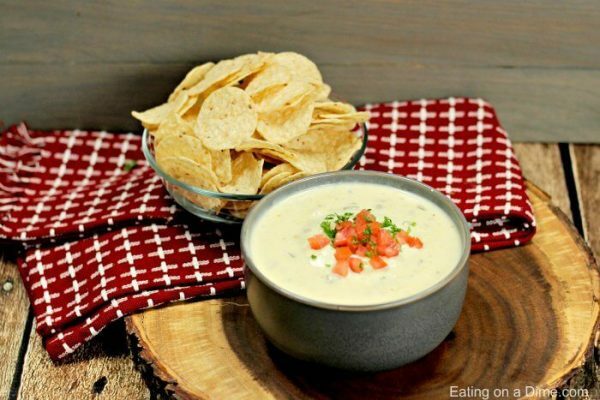 Party guests will love this authentic white queso dip. No velveeta needed and the flavor is creamy and delicious. 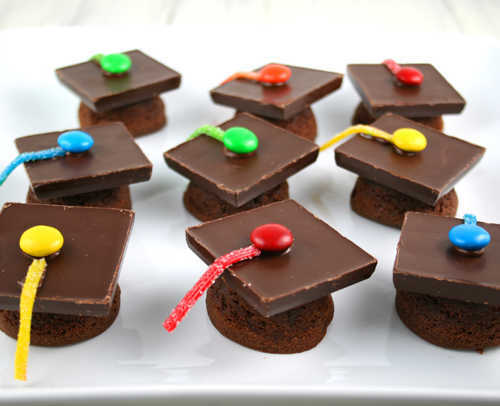 Top cupcakes with chocolate to make “hats” for a fun graduation dessert. Love this idea! 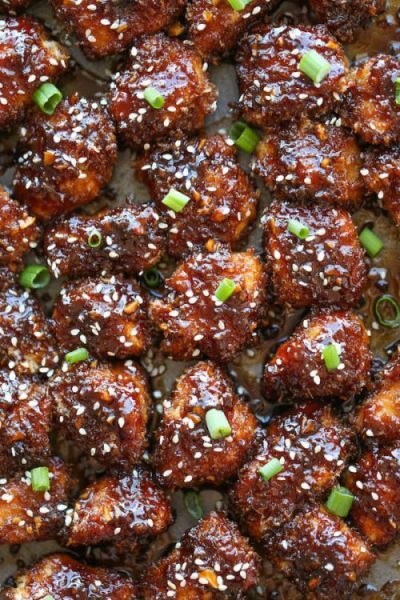 Bite size chicken bites make the best finger food for parties. This sticky garlic sauce makes the chicken so flavorful. Lots of candy and clever sayings make the perfect dessert idea for parties. Everyone will love this candy buffet! 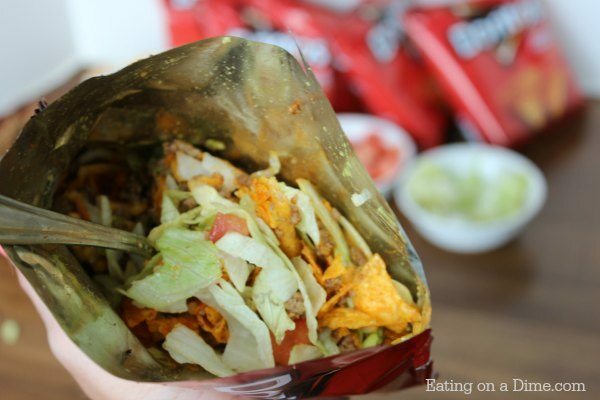 Everything you love about tacos gets combined into a yummy bag of Doritos! This is a great meal for parties and clean up is a breeze. Your guests will keep coming back for more and more of this addictive dip. 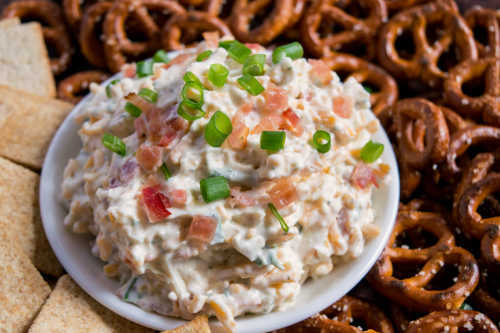 Loaded with sour cream, bacon, cheese and more for a dip everyone will love. Find more graduation food ideas here. What could be better than cake? 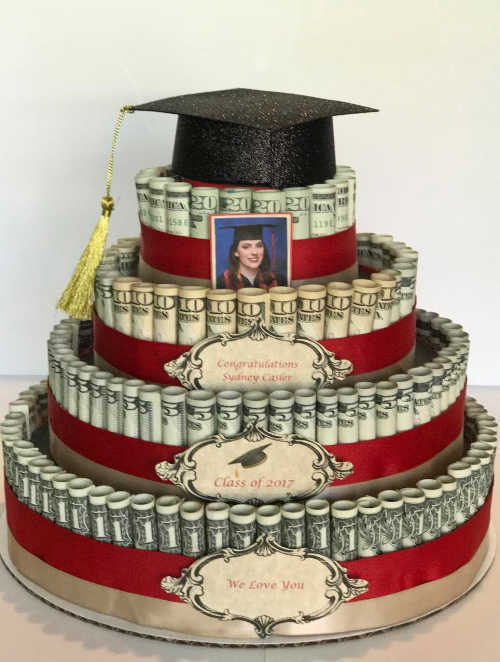 A money cake of course! This easy tutorial shows you how to make this gorgeous cake for a creative way to give money. 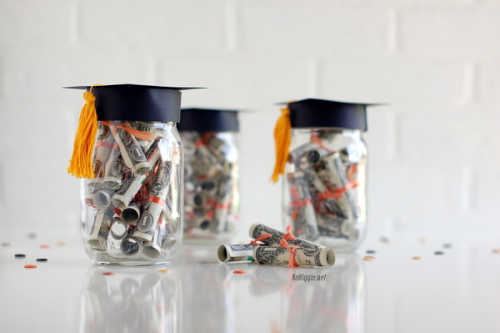 Turn money into rolled up diplomas and tuck them all in a mason jar topped with a graduation hat. This is so creative! 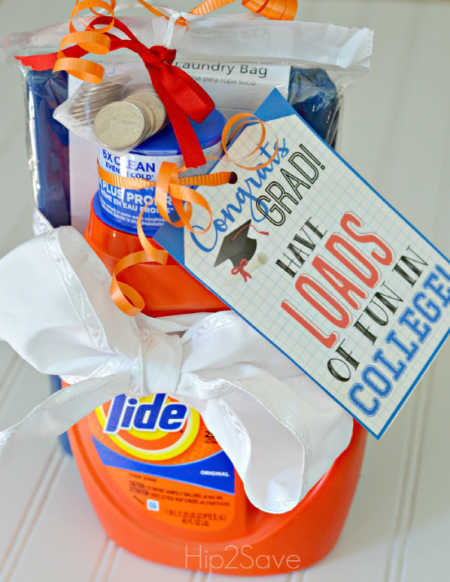 Give a practical gift that kids headed to college will definitely use. This laundry kit with free printable will be put to good use! 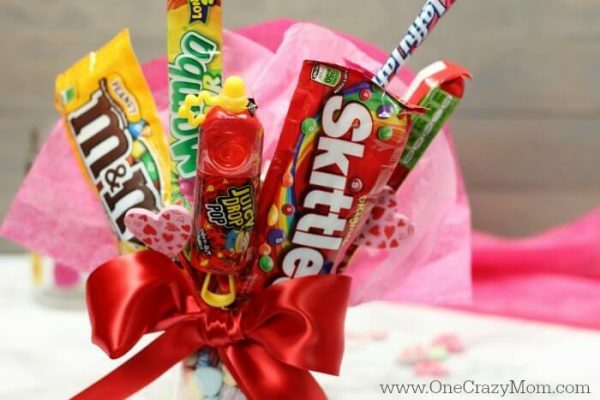 Try making this easy bouquet full of the graduates favorite candy. You could even tuck a gift card inside! 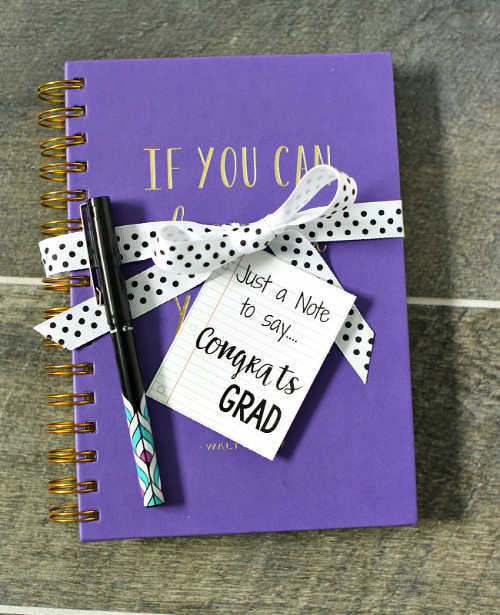 Send your graduate into the world with a cool journal and pen to document everything. This will be a priceless keepsake for years to come. If you need a really easy gift idea, just grab a travel mug or tumbler and add a gift card inside. Easy and useful! Send the graduate off with this neat survival kit full of lots of things they will need. 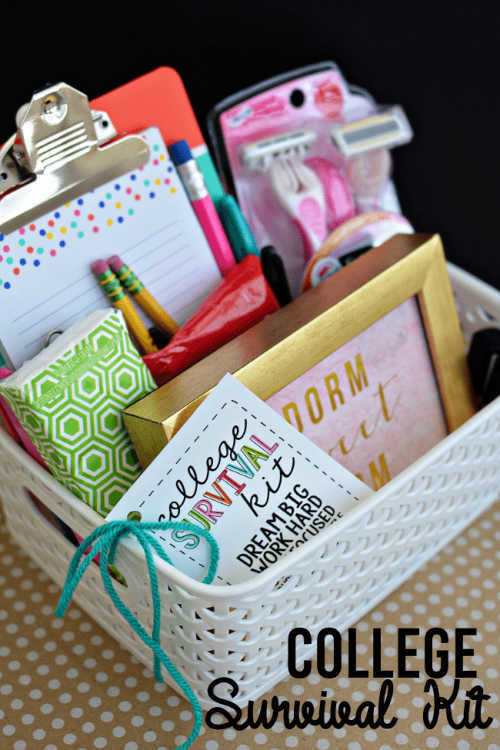 I love the “dorm sweet dorm” printable. 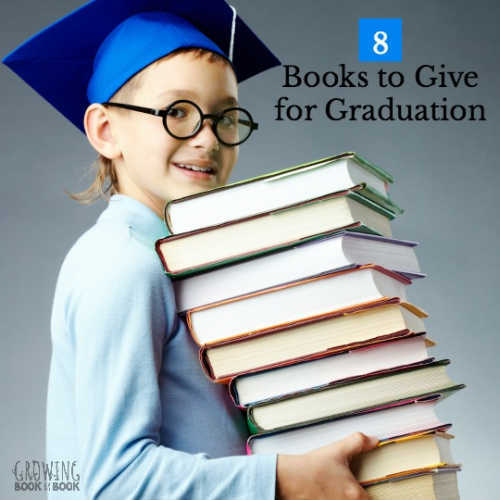 Books make a great graduation gift. Choose from several awesome ideas. Which of these Graduation Party Ideas do you plan to try? 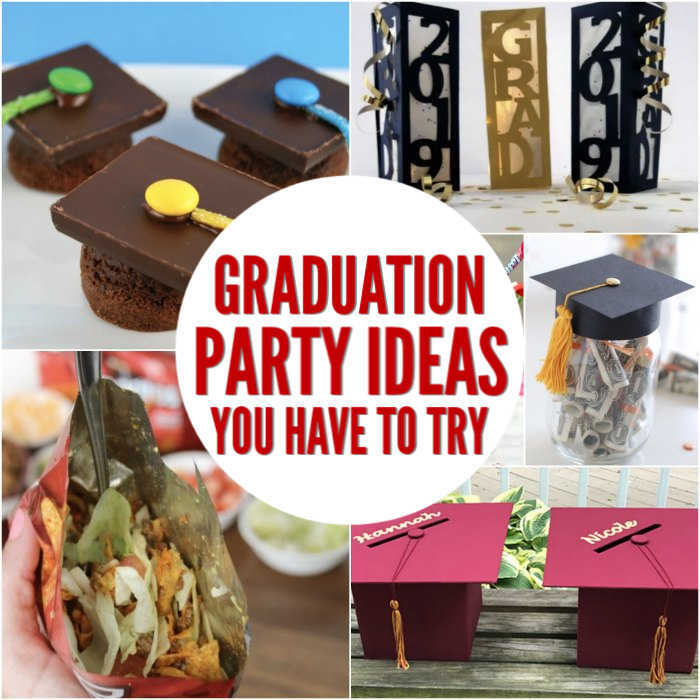 There are so many fun ideas to try for your graduation party. 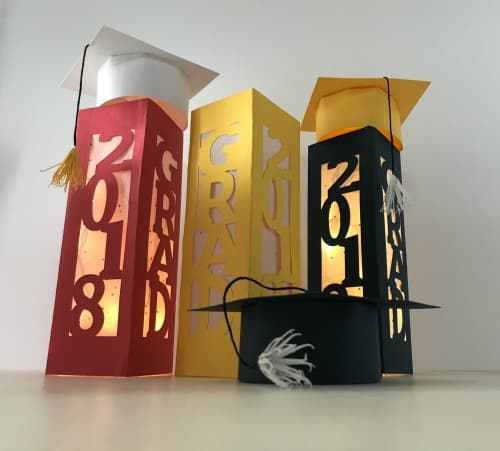 Whether you are looking for high school graduation party ideas or college graduation ideas, there are graduation decoration ideas for everyone. 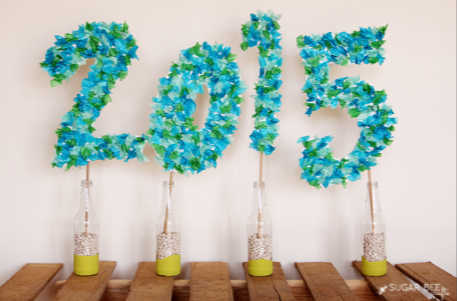 Throw the best grad party with these party decorations or do a photo booth in school colors as another party idea. 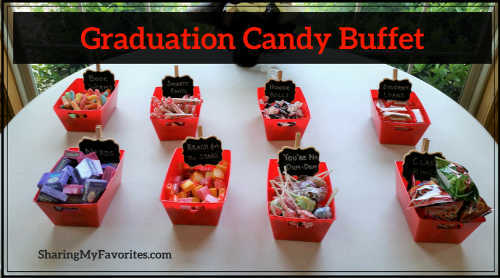 Candy buffets make a great idea for a graduate party favor. 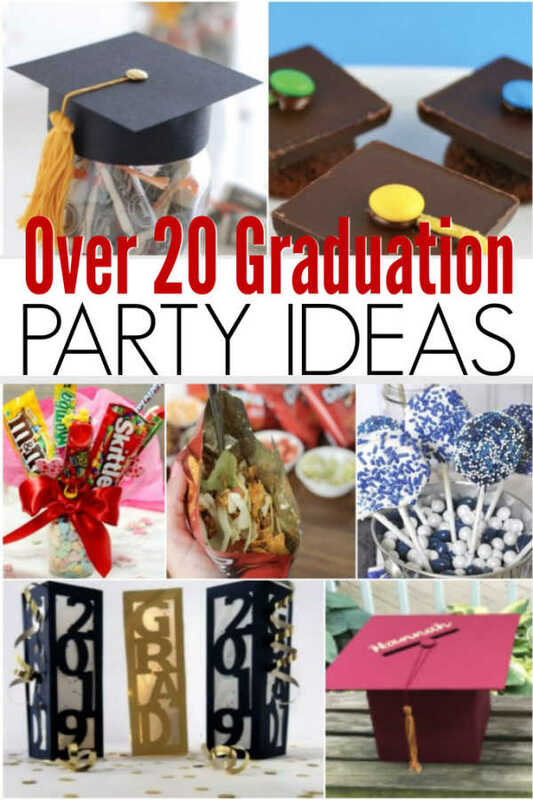 With so many fun ideas, you will be set to throw the best graduation party ever. Everyone will have a blast and you can enjoy the party too because the ideas are so easy. Sit back and enjoy the festivities and celebrate your graduate. It is sure to be a day to remember with lots of great memories for all. Get started party planning and let us know how the party turns out.